Housed in a beautiful historical building from the 19th century, this hotel is the ideal choice for those travellers wishing to escape the hustle and bustle of big cities and enjoy all this Andalusian city has to offer. Guests staying at this hotel will have the chance to discover some of the attractions in the area including the Municipal Museum of the city as well as the Roman Baths. Malaga airport is located a 60-minute drive away. The guest rooms boast a traditional décor and create a warm atmosphere in which travellers may feel right at home. The onsite facilities include a café serving a wide choice of delicious dishes made from local fresh produce. Located in Antequera, Hotel Domus Selecta Finca Eslava is a 4-minute drive from Puerta de Estepa and 5 minutes from Capitán Vicente Moreno. This 4-star hotel is 1.4 mi (2.3 km) from Antequera Town Hall and 1.5 mi (2.5 km) from Antequera Trinity Church. Make yourself at home in one of the 180 air-conditioned rooms featuring minibars. Complimentary wireless Internet access keeps you connected, and cable programming is available for your entertainment. Conveniences include phones, as well as safes and desks. Featured amenities include complimentary newspapers in the lobby, a 24-hour front desk, and luggage storage. This hotel has 4 meeting rooms available for events. A roundtrip airport shuttle is provided for a surcharge (available 24 hours), and self parking (subject to charges) is available onsite. The charming Castilla Hotel is centrally situated in Antequera, a picturesque town with traditional whitewashed houses and quaint streets in the heart of Andalusia. Attractions such as the fortress overlooking the town or the Royal Collegiate of Santa Maria can be found within a short stroll. The train station is within walking distance, and the beautiful city of Malaga can be reached within an hours' drive. The small hotel welcomes guests in a relaxed ambience full of warm hospitality. The guest rooms are decorated in traditional Spanish style, and features include air-conditioning and a private bathroom. The hotel has an excellent restaurant, popular especially amongst locals, which serves delicious traditional food. Guests can have a drink in the cosy bar and mingle with the friendly people. A wonderful choice for those looking for a nice little hotel in a good location. Grab a bite from the grocery/convenience store serving guests of Hostal Colón. With a stay at Hotel Coso Viejo in Antequera, you'll be just steps from Antequera Municipal Museum and Museo Conventual De Las Carmelitas Descalzas De Antequera. This hotel is 0.3 mi (0.6 km) from Convento de Belen and 0.6 mi (1 km) from Iglesia del Carmen. This budget-friendly establishment is an ideal base for both business and holiday travel in Antequera. 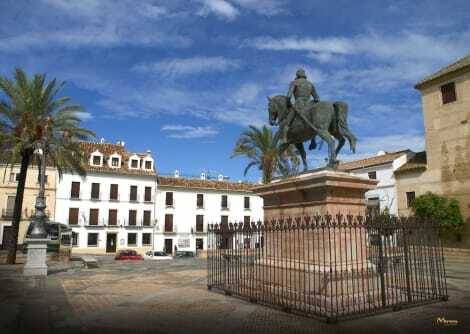 Set in the centre of the city it offers convenient access to everything that "the heart of Andalusia" has to offer, including the 16th century national monument Real Colegiata de Santa María la Mayor and the 14th century fortress of Alcazaba of Antequera, both within a 20-minute walk. Due to its central location in Andalusia the hotel also offers a car parking for all visitors of the city that are travelling to the big major cities of the region. The bright and air-conditioned rooms are ideal for relaxing at the end of a long journey or after a day of sightseeing. Their modern decor and while creamy tones help guests to relax and prepare for a good night's sleep. For the perfect start of the day they can enjoy the hearty buffet breakfast that offers plenty of fresh juices and pastries. Perched close to the city centre of Antequera, just 52 kilometres from Malaga and 26.5 kilometres from Laguna de Fuente de Piedra Natural Park, this hotel is a perfect destination for business travellers and holidaymakers. Enjoying a privileged location within 700 metres from Antequera-Ciudad train station and only 250 metres from the closest bus stop, this property is a perfect base to explore the surrounding area. The establishment offers a wide range of comfortable room types and suites. Each unit is sure to enchant guests with its elegant design and inviting atmosphere created by combination of warm and soothing tones. Patrons may savour delicious traditional dishes and international cuisine at the on-site restaurant or sip an aromatic coffee in a charming ambiance of the hotel bar. Guests may make use of private parking and meeting facilities available for business conference or special occasions. Located in Antequera, Hotel Los Dólmenes is in the business district, within a 5-minute drive of El Romeral and Menga Cave. This golf hotel is 2 mi (3.2 km) from Convento de Belen and 2.2 mi (3.6 km) from Museo Conventual De Las Carmelitas Descalzas De Antequera. Take in the views from a terrace and a garden and make use of amenities such as complimentary wireless Internet access. Additional amenities at this hotel include wedding services, a television in a common area, and tour/ticket assistance. With a stay at Parador de Antequera in Antequera, you'll be within a 10-minute walk of Antequera Trinity Church and Puerta de Estepa. This 4-star hotel is 0.5 mi (0.9 km) from Capitán Vicente Moreno and 0.6 mi (1 km) from Antequera Town Hall. lastminute.com has a fantastic range of hotels in Antequera, with everything from cheap hotels to luxurious five star accommodation available. We like to live up to our last minute name so remember you can book any one of our excellent Antequera hotels up until midnight and stay the same night.